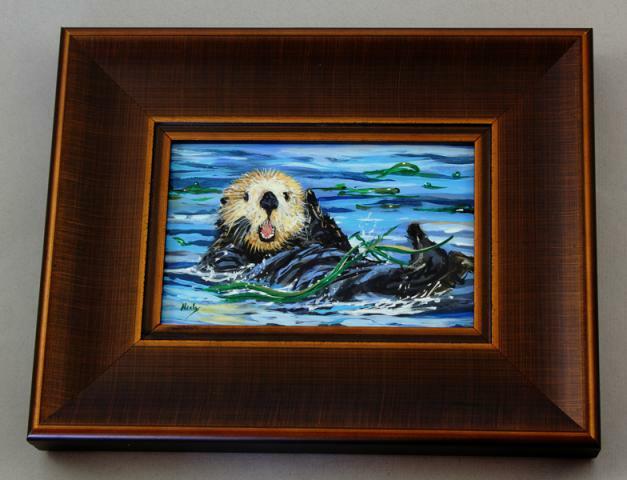 Artist Original by Karen Neely - Framed Acrylic Painting: Otter. Frame is hand made Italian (shown below.) 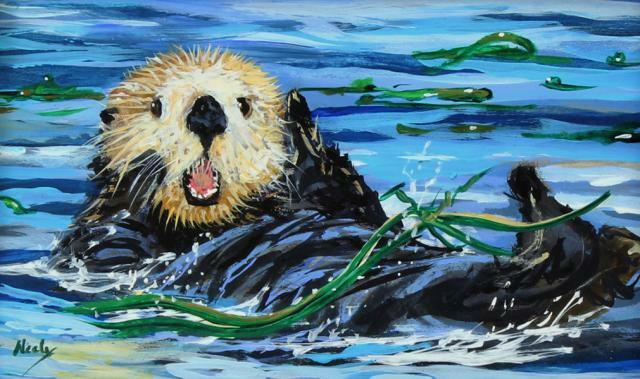 Painting size is 4" x 6". Framed size is 7 1/2" x 9 1/2"